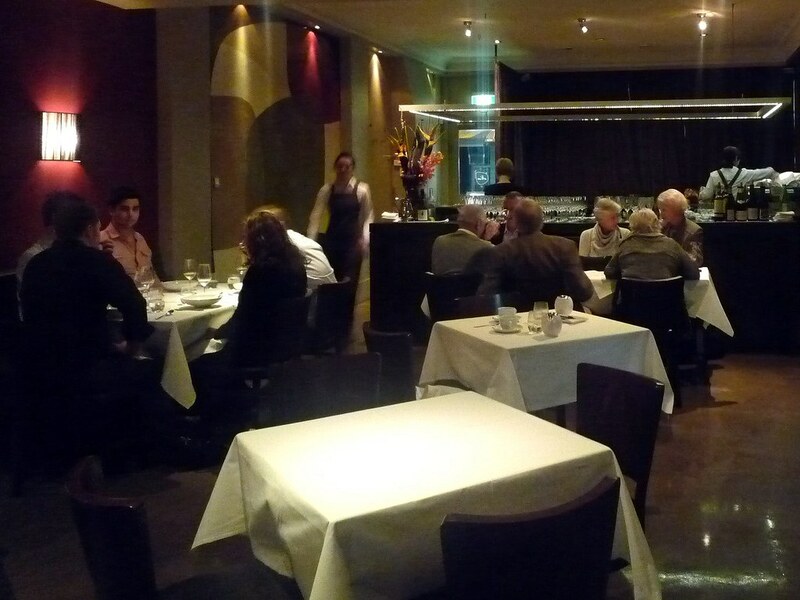 Last Wednesday I had a hot date at Attica with the gorgeous O, who had never been to the Ripponlea restaurant before. We'd been meaning to head down there together ever since we'd heard that O's friend Ainslie Lubbock (previously giving exemplary service down at the Royal Mail Hotel) was the new Attica FOH manager. We were spurred into finally making a reservation the day San Pellegrino announced Attica was ranked 73rd best restaurant in the world (one of only four in Australia and the only one in Melbourne), as we figured it would rapidly become nigh-on impossible to get a table for at least a few months. I'd been to Attica only once before: on that occasion, Dad & I had struck a Faustian bargain with Mum whereby we were allowed to go there but only if we promised to order modestly from the a la carte menu. As it turns out there isn't an a la carte menu any more: on Wednesday and Thursday nights the choice is between a $95 five course degustation and a $140 eight course degustation (only the latter is available on Friday and Saturday nights). O looked at the menus, then at me, then smiled. "Well... it's gotta be the eight course, eh? 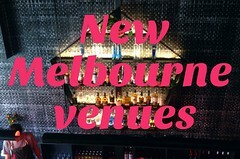 To celebrate Melbourne Gastronome's three year blog anniversary?" Okay, first of all: the Baker D.Chirico bread selection came with an insanely moreish smoked olive oil emulsion and whipped cultured butter. What made this meal so special for us was not just the combination of flavours, but also all the playful contrasts in texture. I love that Ben Shewry is such a texture junkie. We were also brought out an amuse-gueule (not mentioned on the menu) of heirloom carrots served with a red, white and yellow carrot juice syrup. The syrup is made using the shiniest of Ben Shewry's shiny kitchen laboratory gadgets, the rotary evaporator: the vacuuum system lowers the pressure and the boiling point of the liquid over several hours (read more about the rotovap's use as a distillation device in the kitchen here), which makes the syrup amazingly intense. 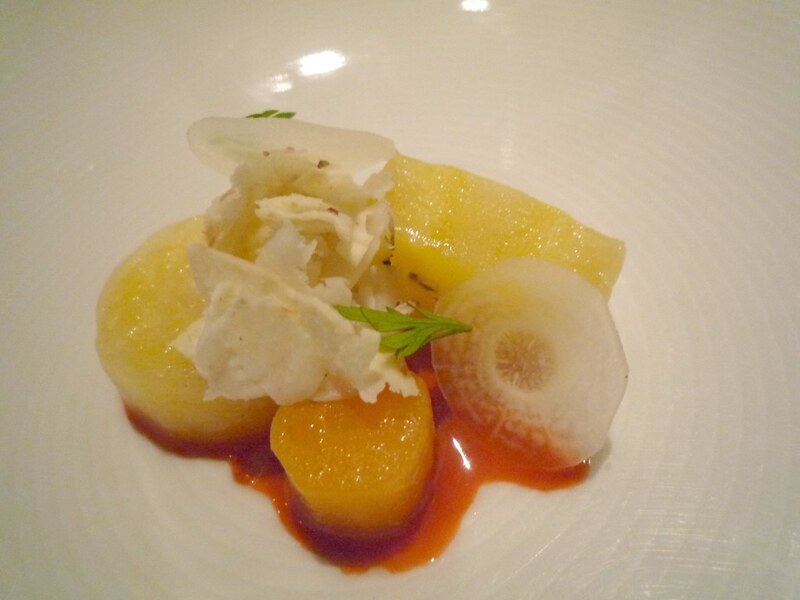 The dish was garnished with Meredith sheep's milk cheese, shavings of chestnut and tiny carrot-top leaves. 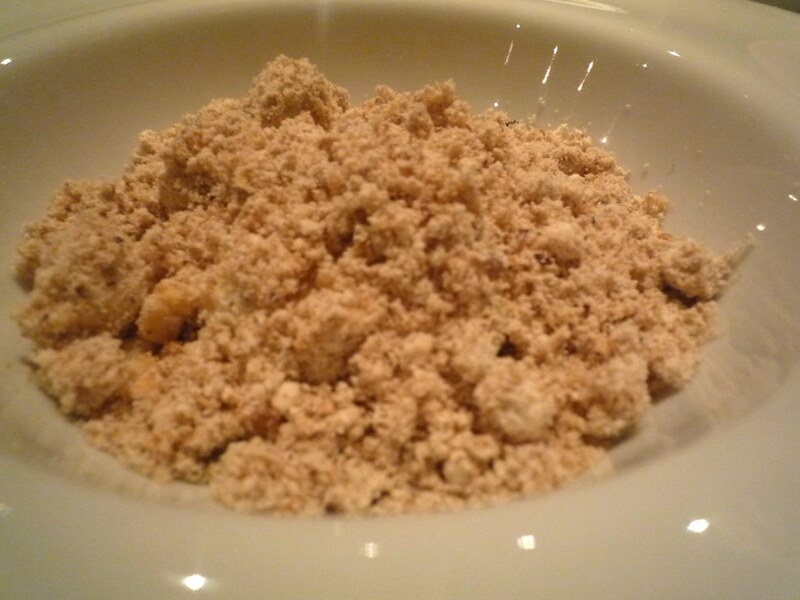 The first of the courses listed on the menu was the Snow Crab. I tasted this dish of crab, salmon roe, puffed rice and freeze dried coconut last time I visited, but was very glad to have it again. I just love the alternating mouthfuls of hot and cold, and the textural contrast between the snow-like powder (made from horseradish oil), the moist flesh of the crab, the pop of the roe and the puffed rice. 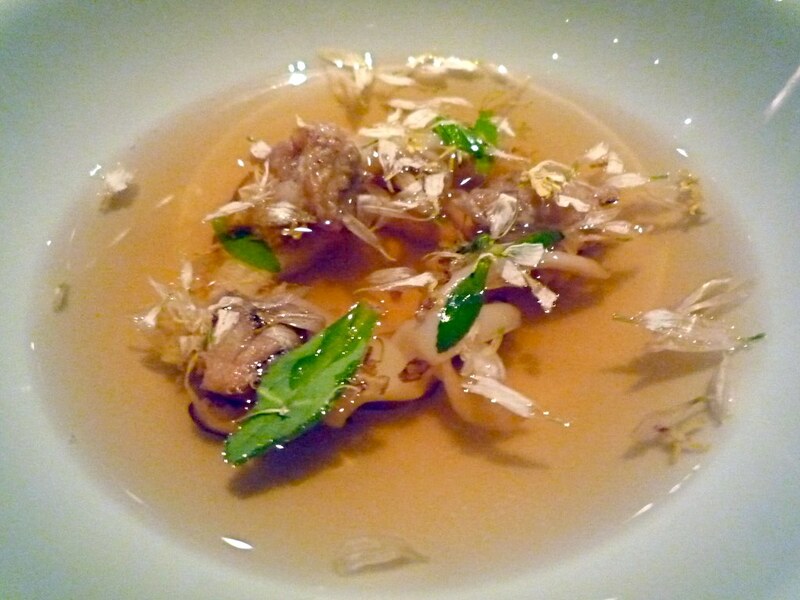 The next dish was an osmanthus and chrysanthemum broth with abalone and cuttlefish. The tea leaves floating in the chicken broth were strongly aromatic and the abalone was wonderfully rich. Next up was the course described in the menu as "a simple dish of potato cooked in the earth it was grown" (the grammar fascist in me successfully suppressed the urge to add the words "in which" after the word "earth"). I'd heard so many good things about this dish, so my expectations were sky high. Wow. The waxy potato is prepared using the Maori hangi method, wrapped and buried in an oven tray filled with dirt and then steamed/roasted for 13 hours on a low heat so that the weight of the dirt transforms the texture of the potato until it's something akin to that of a creamy scallop. Simply AMAZING. 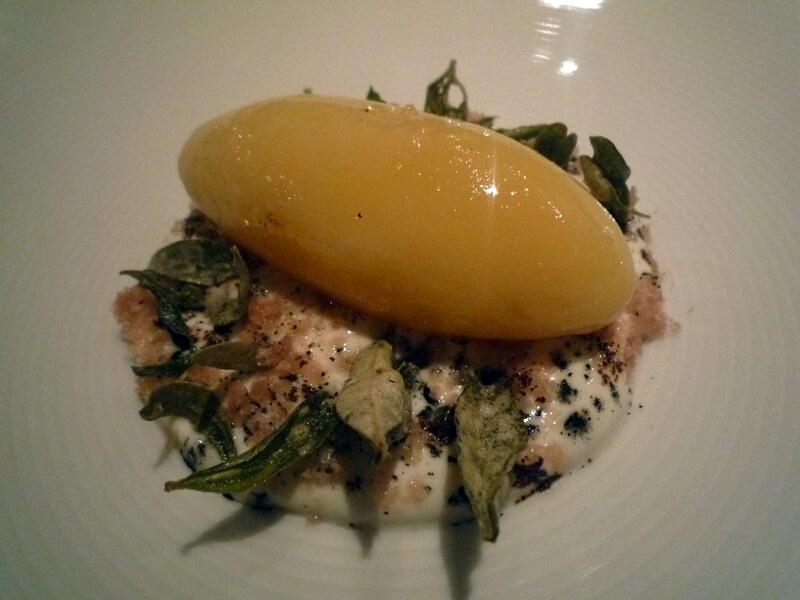 The potato, shining like a polished gemstone, is served on a dollop of sour cream, speckles of cured trout, tiny particles of charred coconut husk and crispy dried saltbush leaves. 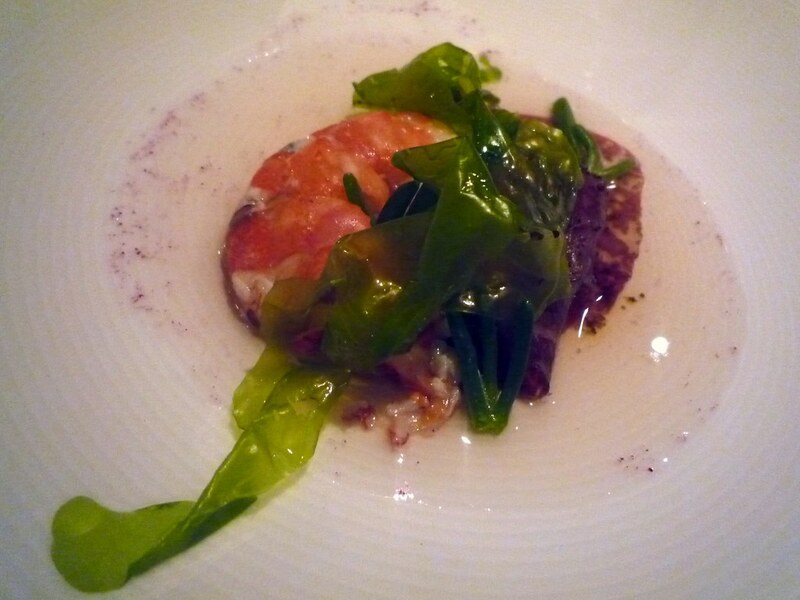 As with the Snow Crab, the dish was as much a play on textures as it was a play on flavours. BEST POTATO EVER! I'd thought we were being extravagant enough by going for the eight course degustation over the five course, but when we were told about the additional special on offer that night, O cocked a mischievous eyebrow in my direction and said we'd have it too (!). The special was poached Western Australia marron (sent over still alive and freshly killed to customer order - gulp), done sous-vide then draped with wagyu bresaola and sea succulents. A tiny purple pile of pansy powder and dehydrated rose swirled to life when a beaker of kombu broth was added to the shallow bowl. The marron was sublime matched with the fattiness of the bresaola. Next we had a fillet of bass groper, served with rosemary, chopped almonds, a good whack of roasted garlic chips and a viscous sauce made from chorizo-infused water and thickened with xanthan gum. Another outstanding dish. Then it was time to move on to the meats. The rack of lamb had been roasted on the bone to tender perfection. It was served with mushrooms which had been roasted over wood, Jerusalem artichoke and delicious little balls of shanklish rolled in red quinoa. The dab of green sauce was made from forbs, a flowering plant that the lamb would have grazed upon. Although all of the ingredients were delicious, this was the one dish where O and I thought the flavours went into awesome overkill to the point where they were overpowering each other (particularly the smoky mushrooms). 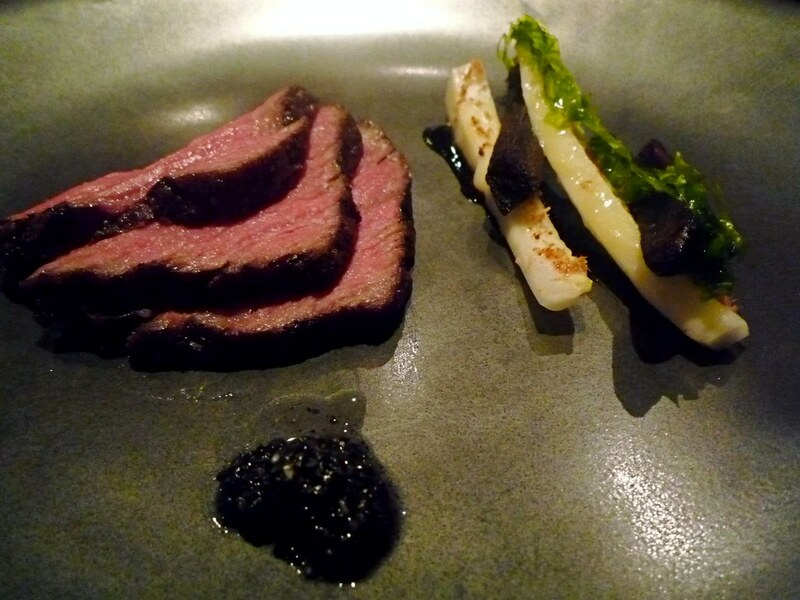 The other meat dish was Angus beef which had been roasted as part of a large fillet to maintain texture, served with a toasted black sesame puree. The sides there are raw hearts of white cabbage, seagrass and amaaaazing black chips of potato, dyed with squid ink and soy and then cooked three ways (roasted, dehydrated and fried) to spectacular effect. The sprinkles on the sides are - if you can believe it! - Crystal Bay prawns that were deep fried then blended into a floss. We were nearing the end, but I couldn't help but clap my hands together with glee when the Terroir arrived at the table. Vivid beetroot and almond cake crumbs, dehydrated raspberries, clover cress, sorrel ice, avocado oil jelly, kiwi fruit, brewing malt and white pepper with a fromage frais sorbet at the centre. I'd already had this dish before, but I'd been hoping like hell it would be on the menu because I so wanted O to try it. It did not disappoint! 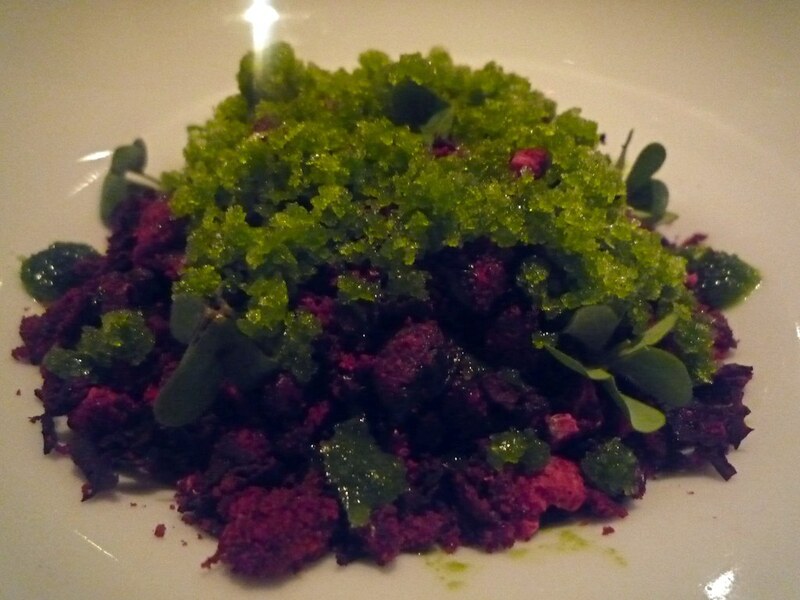 O started emitting little moans of wonder and pleasure with each mouthful, then wouldn't stop talking about the dish: the earthiness of the beetroot, the way the sticky chewiness of the dehydrated raspberries contrasted with the crumbs and the sorbet, the way the dish played with temperatures as a thematic echo of the Snow Crab. I don't mind that The Age's 2009 Dish of the Year (the smoked trout broth with crackling, basil seeds and fresh smoke) is no longer on the Attica menu... but it'll be a sad, sad day if the Terroir is no longer available. 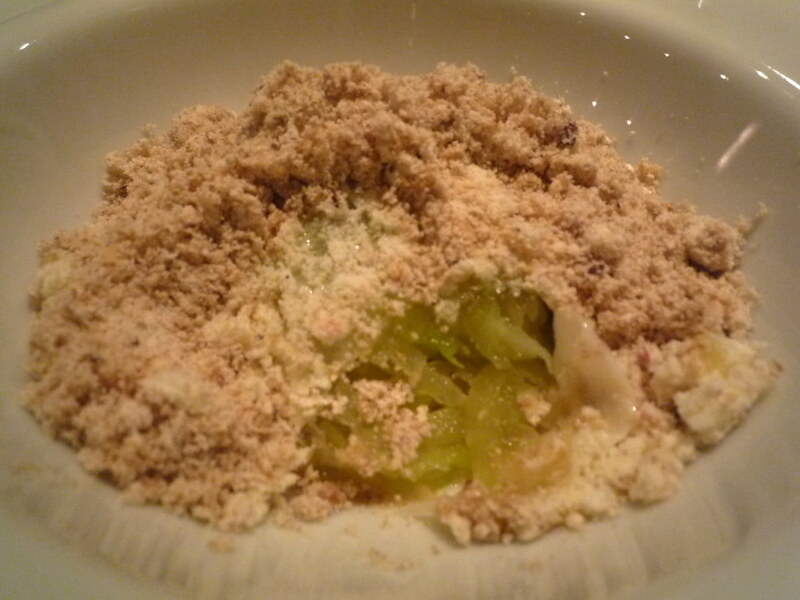 The final dish was described as "apple, olive, warm shredded wheat" on the menu, and turned out to be a sort of delicious deconstructed apple crumble. Ben Shewry came out from the kitchen to sprinkle the warm biscuity wheat crumble over the apple and to say hello. The apple component of the dish (pink lady and granny smith) had been partially dehydrated and looked like a translucent green igloo. 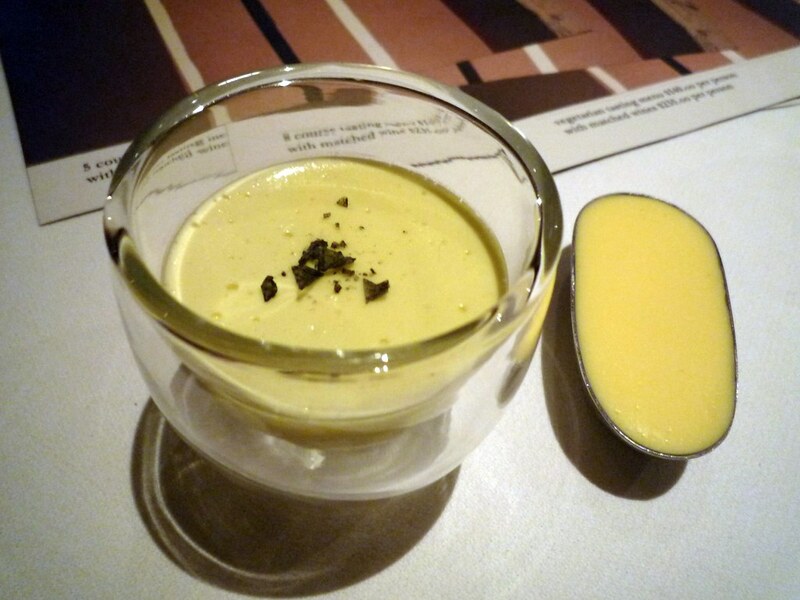 The olive component was in the base of custard and molasses. 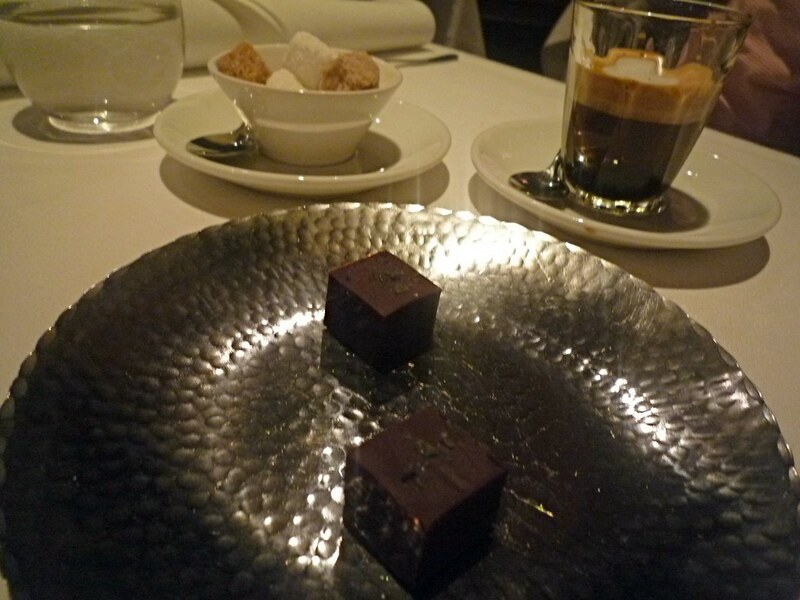 Finally, we were brought a couple of cubes of dark chocolate fudge - we liked the way that sprinkles of black Cypriot volcanic sea salt effectively bookended our meal, as they were also on the olive oil emulsion. All in all an outstanding meal. On the wine front, after some bubbly on arrival, O selected an excellent Chablis (whose name escapes me) for us to drink as we worked out way through the earlier dishes. For our meat courses, Ainslie recommended we order the Giacomo Mori Chianti 2006, and we were given a glass each of Braida Brachetto 2008 to go with the Terroir. Many thanks to Ainslie and her team for top-notch service. 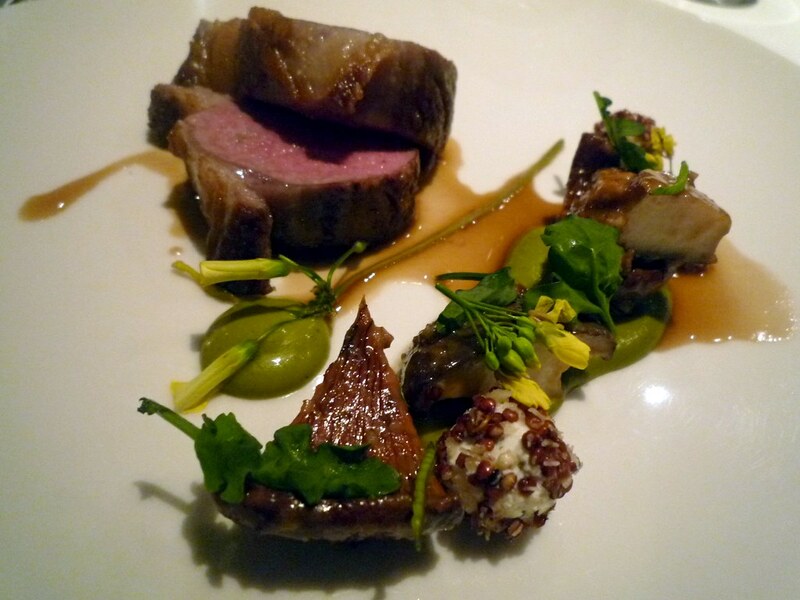 By the way, vegetarians: the vegetarian degustation looked AMAZING. I've written up the menu descriptions for you to salivate over in the comments section of this post. O and I are very tempted to head back again soon for Tuesday Night Chef's Table: $80 for a five course degustation trialling new recipes Ben is experimenting with and considering adding to the menu. Or, better yet, we'd love to go along over two or three SUCCESSIVE Tuesday nights, so that we could chart the evolution of certain new dishes. Soon, my pretty, soon! Thanks. Looks like a few changes on the menu. Rosemary flowers are back in season. The broth sounds interesting, they may have to get some Chinese osmanthus wine in to serve with it? He really is a great import. 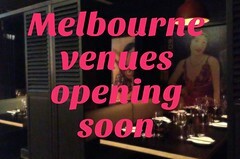 i cant wait to eat my way through to melbourne when i finally move over soon!! I wonder if that's the same Ainslie Lubbock I went to primary school with in Canberra? Envious of your amazing dinner. 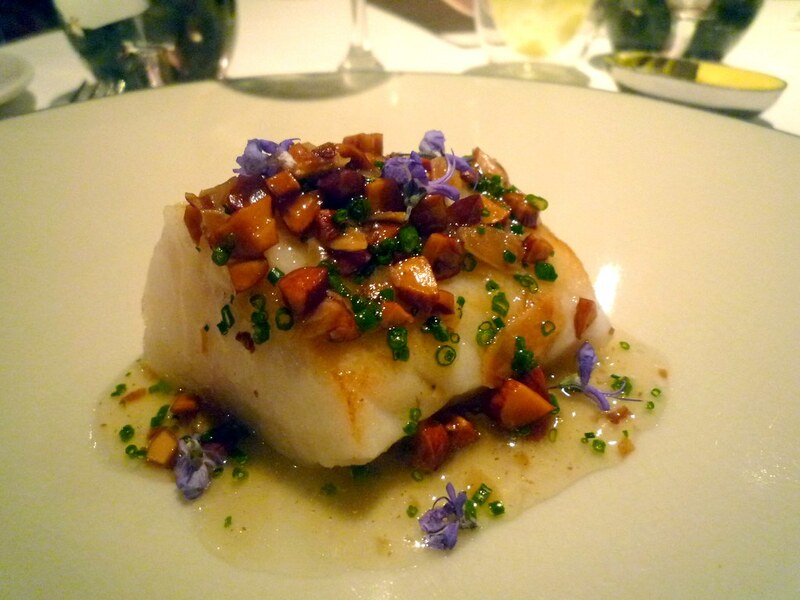 I've had Ben's food here in Sydney last year at Marque and the Potato and the Terroir were both incredible. Oh wow, this just looks absolutely amazing. Too bad my birthday passed by already...! Aaargh, I just drooled on my keyboard a bit whilst reading your descriptions of the dishes and remembering my recent meal there. You need to start selling Melbourne Gastronome branded bibs for keyboard safety reasons. Minor point... Rotary evaporators operate under vacuum, hence the lower boiling point. Food and pics look fantastic... I really have to get a booking here! Hey Reem, it might be! I'll ask her next time. Thanks Anonymous for correcting me re: the rotovap - I've amended the offending paragraph. Sorry Claire, only seen it in Chinese restos. Reemski. 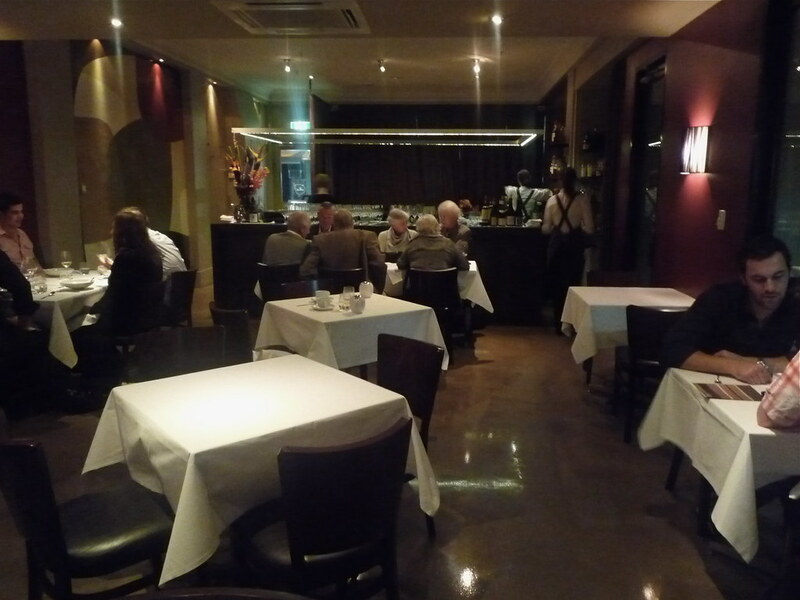 I flew up for that dinner last Sept. Poor Ben, they staggered the diners soooo much that it really did put pressure on the kitchen. The snow crab was also good that night. Booked a table for a Tuesday night at the end of June immediately after reading this post! In response to "We cannot cater to any allergen requirements" I said "Bring it on! We're not allergic to anything!". Famous last words I'm sure - but can't wait! 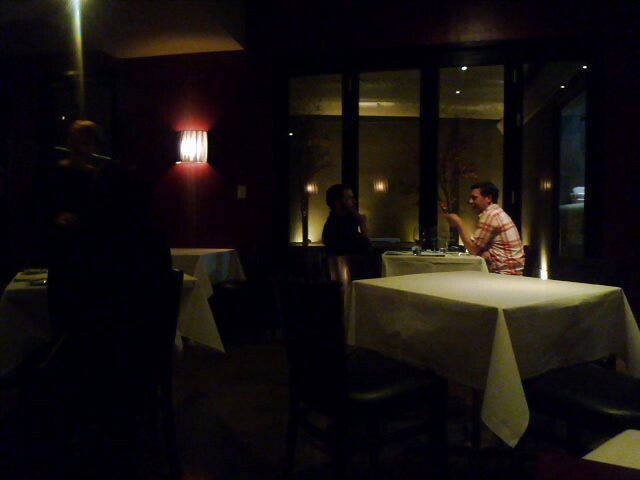 Was there last night for the 8 course.. absolutely mind blowing food! The textures Ben creates are incredibly fascinating - from crunchy to buttery from icy to warm and all that's in between. 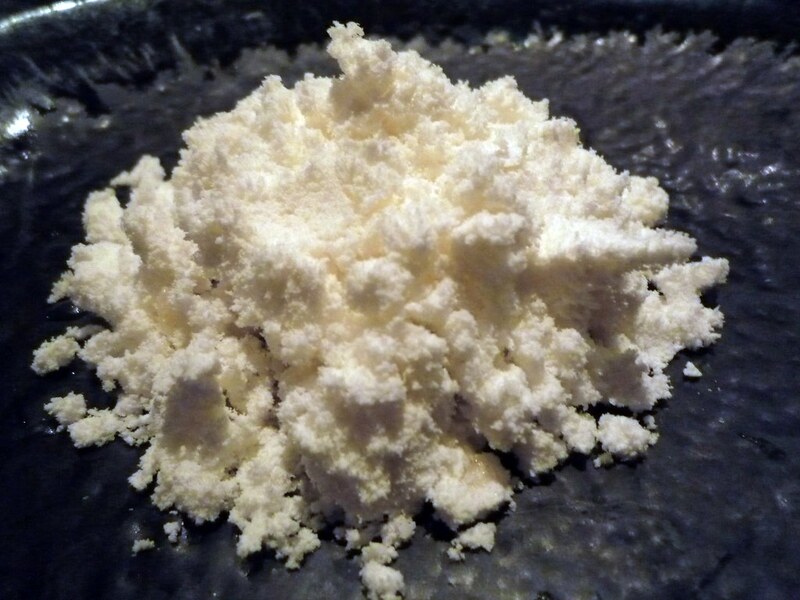 The thing I was most amazed about is how this mix of different ingredients, methods and techniques doesn't translate into something contrasting and "strange".. oh no, they create blends of flavours and aromas that you wish you could have more often! I look forward to going there again very soon.